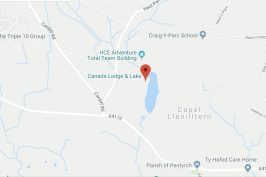 Fancy a wedding at a Lodge with its own Lake? There are few venues in South Wales that combine the elegance, charm and stunning views of our stone-built Lodge. 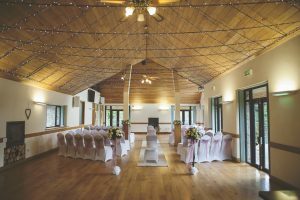 Furthermore, if you book a wedding at the Lodge or a function you will have the whole building for the day. With the epitome of elegance and charm, the Lodge consists of two floors so there’s a lovely flow to your special day. 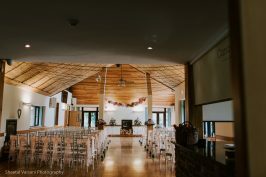 Licenced for civil weddings and partnerships, the ceremony takes place in the Oakroom. Whilst your wedding breakfast taking place in the Lakeside room. 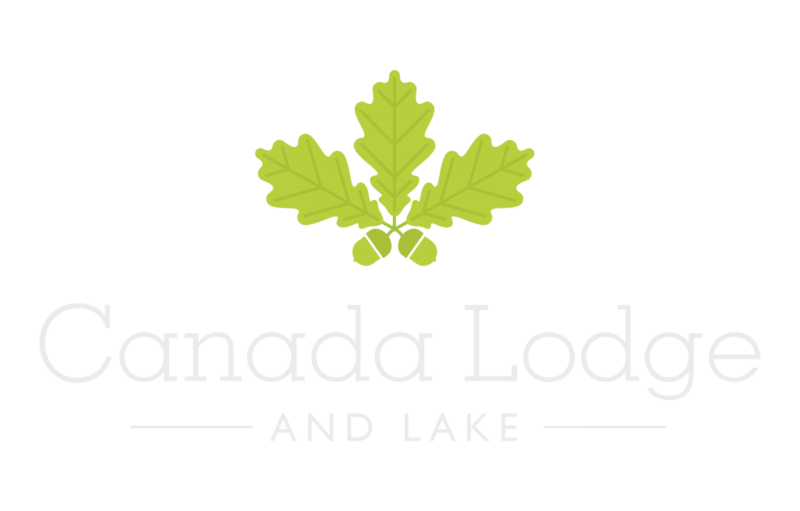 Usually, weddings at the Lodge are in the Oak Room and the Lakeside Room which can accommodate 120 seated or 180 for an evening function. Additionally we have an additional large, decked, balcony and windows to take full advantage of its lakeside position. There are a number of catering options which are available for weddings at the Lodge. Furthermore you can also book one of our special bridal cabins. These offer a perfect and romantic spot. Perfect for getting ready for your special day and to spend your first night as a married couple. 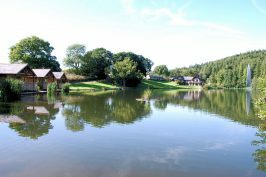 Thanks to the range of log cabins and apartments on site, your guests can also stay the night, lakeside.